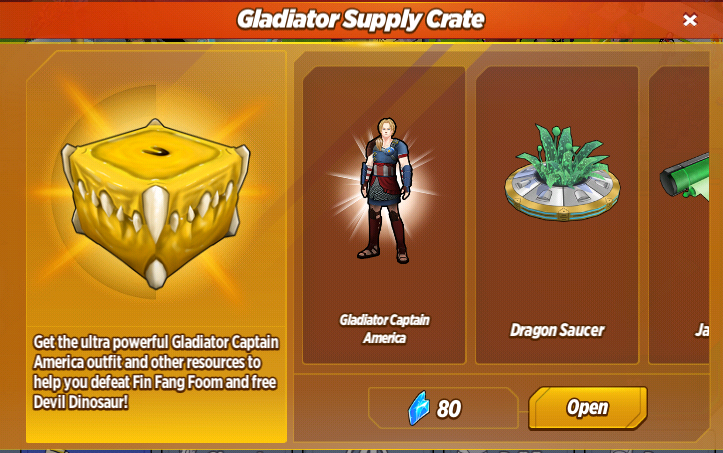 Alongside the Monsters Unleashed Special event, TinyCo has also dropped another crate into our shops - the Gladiator Supply Crate! It costs 80 Shards per try and contains Gladiator Captain America, as well as other items which will help with the current event. Hank Pym: My timestream training chamber worked to perfection! 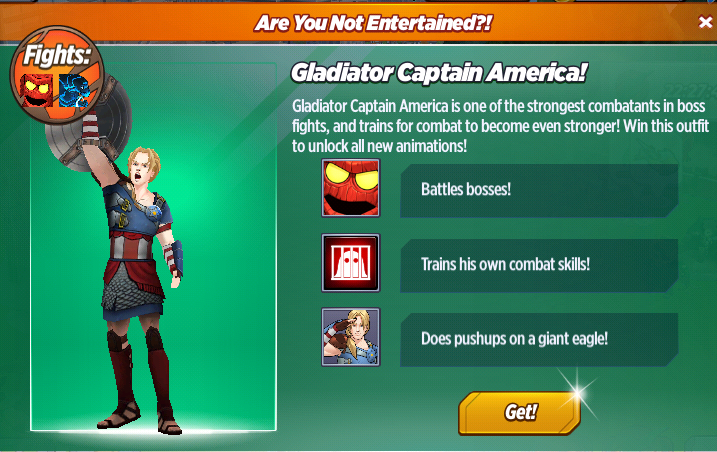 Hank Pym: You were! Yet here you were gone for less time than it takes to perform the Charleston! That's science! 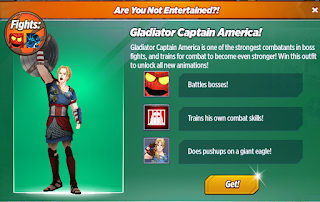 Gladiator Captain America: Well, I learned a lot, and I feel stronger than ever. I'm ready for whatever Fin Fang Foom throws at us. Hank Pym: And your hair looks fantastic!